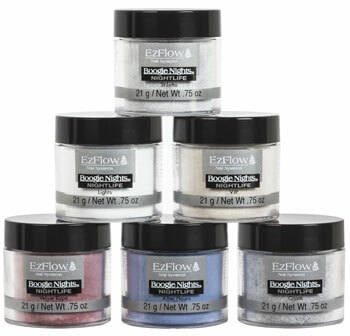 EzFlows sparkling glitter acrylic powders are an array of intense and vivid colors in iridescent to metallic glitters. These exciting color combinations are guaranteed to brighten up any nail art or nail enhancement. A-Polymer powders paired with Polyester Holographic Film increases adhesion, strength and durability - a dynamic glittery duo that outshines the competition!